Hair is trimmed and layered. Face matted by sanding and buffing. Eyelids is airbrushed in pink and shaded with a dark brown like that of dark chocolate, same shade as her eye shadow. Blushy cheeks also applied with airbrush. Her light pink lips are a combination of airbrush and hand painted details, her lips and corners of her mouth has also been carved to give her a gentle sweet smile. 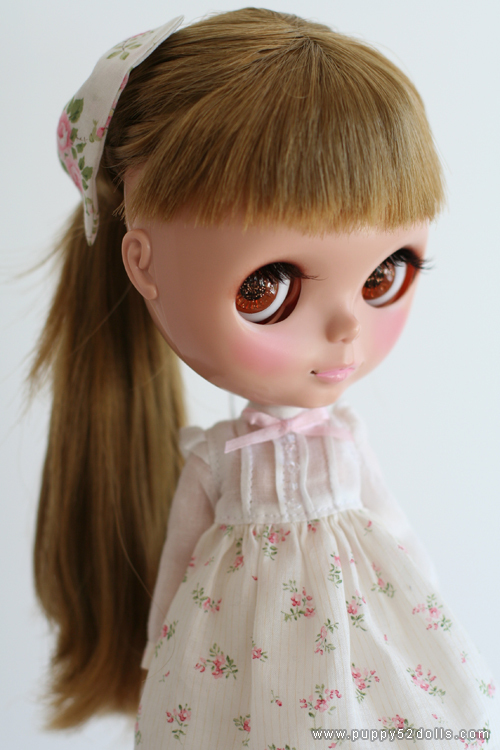 Gaze is slightly corrected, and boggled and curly flirty eyelashes replaced her stock ones. 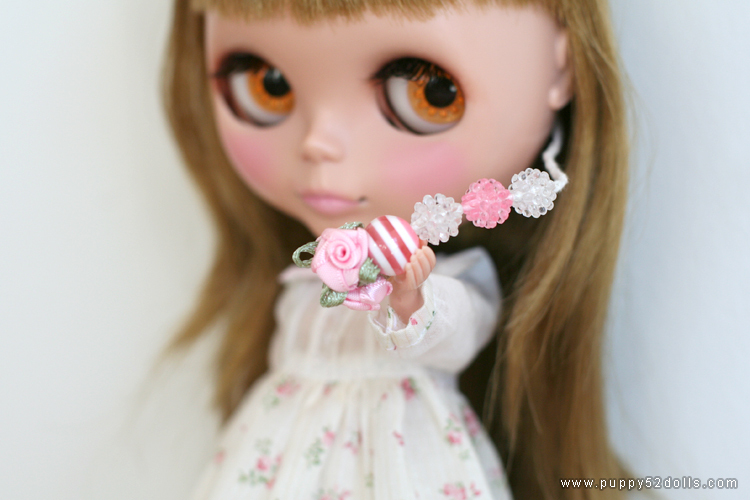 Her pull string has been replaced and pull ring is customised with beads and satin ribbon roses. Sides: Darkbrown with sparkles, and Orange with floral base. Oh she’s so pretty!! I love her lids~~~ Her dress suits her perfectly too!